I have called on the council’s Roads Service to resurface the crumbling surface of Hammerfield Avenue. 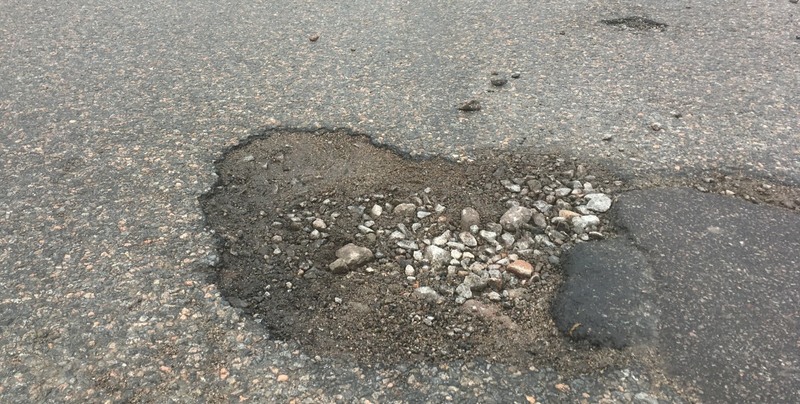 Whilst the council has repaired some potholes on Hammerfield Avenue, many others remain – and new potholes and broken areas appear all-the-time. In my view, the condition of Hammerfield Avenue means it needs to be properly resurfaced. “I have been contacted by a constituent about the ever-deteriorating condition of the road surface of Hammerfield Avenue. “My constituent is particularly concerned about the condition of the road surface of Hammerfield Avenue between its junctions with Norfolk Road and Broomhill Road. “I would be very grateful if Hammerfield Avenue could be inspected and the necessary repairs carried out.